Tim Norris of National Real Estate Insurance Group joins the FlipNerd.com Expert Tip show to talk about why it’s best to self-insure your real estate as much as you can. There are ways to do this that help you dramatically reduce insurance costs for your real estate, while not adding a tremendous amount of extra risk. Don’t miss it! 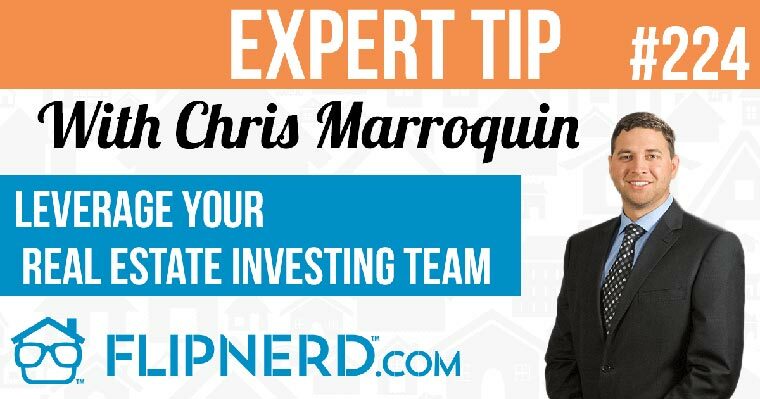 Mike: Hey, it’s Mike Hambright from FlipNerd.com and we have a quick Expert Tip to share with you from Tim Norris who’s going to talk about why you should self-insure your real estate as much as you can. Tim: Self-insurance is like beauty Mike, it’s in the eye of the beholder. But my rule of thumb for the longest time has been take the minimum claim that you would ever file and double that value. So, if you’ve never filed a $1,000 claim, you shouldn’t be carrying $1,000 or even a $2,000 deductible on your investment properties. If you take that theory and you apply to all the insurance that you have, in the course of the year, think if you’re home owners, your car insurance, your health insurance even, if you carry higher deductibles than you typically carry, the cost savings typically is more so than the difference in the deductibles. So for instance, if you can save $100 on this policy, $200 here, by the time you’re done with those higher deductible savings created, you’ve probably saved enough to offset the difference in the one claim you have in that year. So the more you can self-insure especially in the form of a deductible, the better off you are.